Over the last decade or so, both nuts and nut butters have become a dietary staple of the health conscious. Rich in both monounsaturated and polyunsaturated fats, eating nuts on a regular basis has been shown to improve blood cholesterol levels, lower blood pressure, reduce the risk of developing cardiovascular disease, and protect against diabetes [1, 2] - something that also holds true for good quality nut butters. Hell, making either a regular part of your diet has even been suggested to protect against the onset and development of certain cancers . So, in short, both nuts and nut butters are absolutely fantastic for health. But, as with most things, there is more to the story. While the general consumption of nuts has been shown to cause large improvements in health, not all nuts are created equal. With this in mind, two of the most popular (and arguably, healthiest) nuts consumed on a regular basis are almonds and cashews. Interestingly, although each of these fantastic options can benefit health in a big way, they are slightly different in nature. As such, they each have different positives and negatives associated with their consumption. Almonds are a tree grown nut that are becoming extremely popular as an easy snack due to their delicious flavour and high nutrient density. Additionally, almonds are also extremely rich in both vitamin E and the mineral magnesium. Taking this into consideration, the inclusion of almonds into the diet has been shown to cause significant improvements in the ratio of cholesterol in the blood – in which it causes a reduction in the levels of LDL cholesterol (‘bad’ cholesterol) in the blood, while causing a simultaneous increase in HDL blood cholesterol (‘good’ cholesterol) . In conjunction with its influence on blood cholesterol levels, eating almonds on a regular basis has also been suggested to lower blood sugar levels, while simultaneously reducing systemic inflammation . Through these mechanisms, it has been suggested that almonds may be beneficial to those at risk of developing diabetes, and therefore may also act synergistically to traditional diabetes medication, enhancing their effectiveness. And finally, due to their high fibre content, eating almonds has also shown to improve the health of the good bacteria found within the gut, This can lead to improved digestion AND an improved ability to absorb nutrients from the food we eat. With all these positives, there are some potential negatives associated with the consumption of almonds. As they are quite high in fat content, they are extremely energy dense. This means they offer little physical satisfaction despite providing us with quite a high number of calories. This makes them extremely easy to overeat, which can lead to weight gain if left unaddressed. As a result, it is important we ensure we keep track of our serving sizes to avoid overeating. Similar to almonds, cashews are an extremely well known tree nut. Cashews are actually one of the most commonly consumed nuts on the planet – which is fortunate, because they do offer a host of health benefits to the human body. Similarly, cashews are also quite high in the mineral magnesium. With all this in mind, making cashews a critical and regular aspect of the diet has been shown to cause significant reductions on blood pressure . As such, they have been suggested to offer a potential benefit to those individuals who suffer from metabolic syndrome. Additionally, cashews are also extremely rich in antioxidants. As such, they have been suggested to reduce inflammation throughout the body, which can have a host of positive effects on health and overall wellbeing. With all this, it is extremely important to note that while there are some very strong positives associated with the consumptions of cashews, there are also some negatives. First up, cashews are quite low in fibre compared to other nuts. This means that they have limited capacity to aid in either digestion or nutrient absorption. Additionally, almonds are also quite high in carbohydrate content (particularly when compared to almonds). As such, there regular consumption may actually cause an increase in blood sugar  – something that actually be quite detrimental to people suffering (or at risk of developing) diabetes. In a similar vein to nuts themselves, nut butters offer us with a unique opportunity to improve our health by including them into our diet. But, again, not all nut butters provide us with the same nutrients or health benefits. With this in mind, each nut butter provides with slightly varied health benefits. When it comes to nut butters, Almond butter is the new kid on the block. Relatively new to the food world, it has been touted for its potential health benefits, high nutrient content, and delicious flavour. Additionally, a single serve of almond butter provides us with a huge amount of Manganese, Phosphorous, and Vitamin E. This is where Almond Butter potentially has the advantage over all other butters, in that it contains much more of these minerals than its opposition. Taking this into consideration, it makes sense that almond butter demonstrates the same positive effects on health as almonds themselves. As such, it can result in an improved blood cholesterol ratio, lower blood pressure, and a reduced risk of cardiovascular disease and diabetes . Something to be aware of with almond butter specifically is that it contains a heap of energy, with a single serve giving us a whopping 200 calories. This makes it very easy to overeat, so we should try and keep our portion sizes in check. Peanut Butter is hands down the most popular nut butter on the market, having been a household favourite for the better part of a century. This is definitely a good thing, as organic peanut butter can have a number of positive effects on our health (assuming we aren't coupling our PB with too much J...). Peanut butter also provides us with small amounts of the mineral Manganese, and the vitamin Niacin – both of which have shown strong associations with improved heart health. With this in mind, those individuals who consume diets high in peanut butter have been shown to have a lower risk of developing diabetes and high blood sugar . Peanut butter is an excellent choice as it does provide us with slightly more protein and fibre, for what is slightly less total calories. Although this does come with s light trade-off, where it provides us with less essential nutrients per serve. Cashew Butter also provides us with a decent portion of the mineral copper, which is known to play an important role in the production of red blood cells, and the maintenance of immune system function. 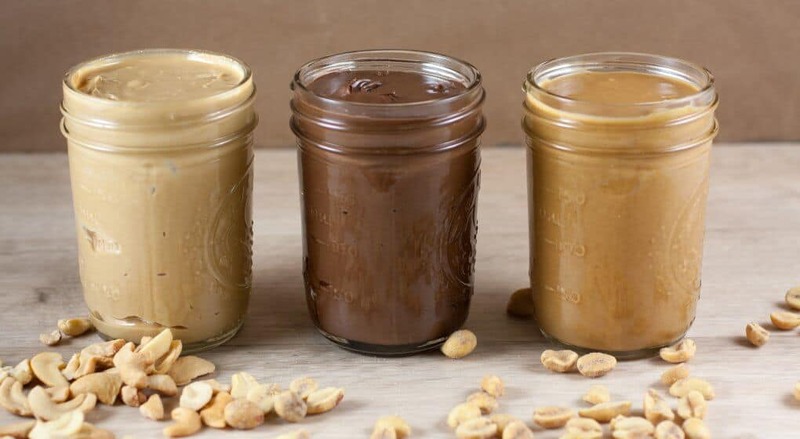 It is important to note that cashew butter contains significantly lower amounts of monounsaturated fatty acids compared to both almond butter and peanut butter. As such, they do not provide the same positive effects in regards to hearth health. Cashew butter also contains markedly higher amounts of carbohydrates than alternative butters. As such, similar to the nuts themselves, it is unlikely that cashew butter will have the capacity to influence blood sugar positively. It doesn't take long to realise that all nuts, or their butters for that matter, are created equal. Some offer a host of positives over others, making them much better options for our health specifically. With this in mind, it quickly becomes apparent that almonds offer a much healthier snack than cashew. Given their capacity to protect against heart disease, metabolic disease, diabetes, and all of their associated risk factors, almonds are an excellent choice of snack that can have HUGE benefits for health. Similarly, both almond butter and peanut butter offer much healthier options than cashew butter. With this, it is important to note that almond butter does provide the body with a much larger amount of essential nutrients than peanut butter, but comes with less protein, less fibre, and more energy – which are not necessarily positives. As always, we would love to hear any of your experiences with nuts and their butters, so drop us a comment or get in contact.